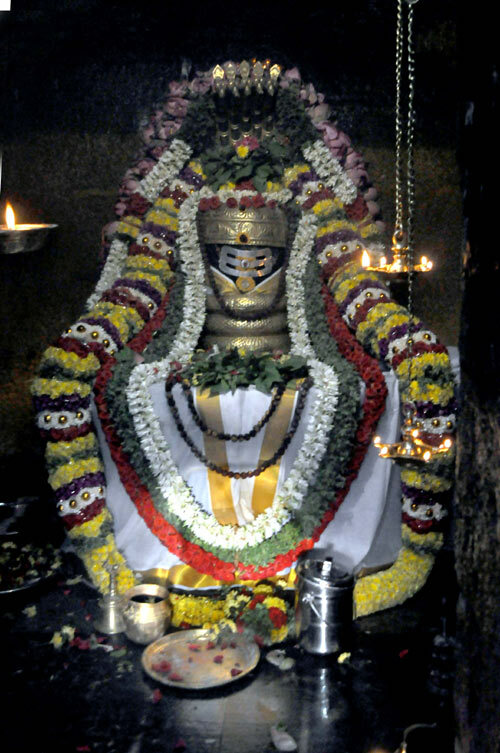 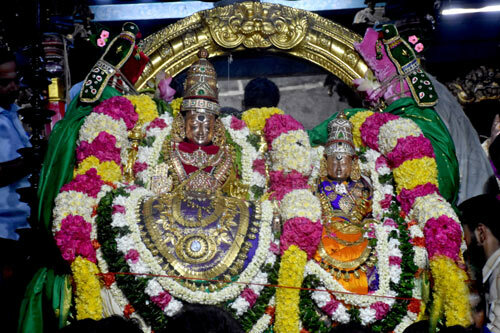 On the 4th Day of the grand Spring Festival (Vasanth Utasvam) being celebrated at the Thiruvannamalai Lord Arunchaleswarar temple on Saturday, 13th April, the deity of the Lord Arunchaleswarar was brought to the Panneer mandapam located near the Magizha maram on the 3rd corridor of the temple. 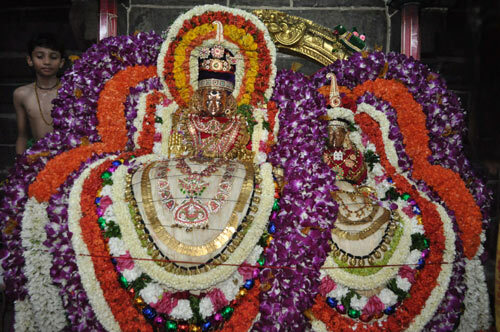 Subsequently, the ceremony of showering the deity with dolls decorated with yellow silk clothes was performed. 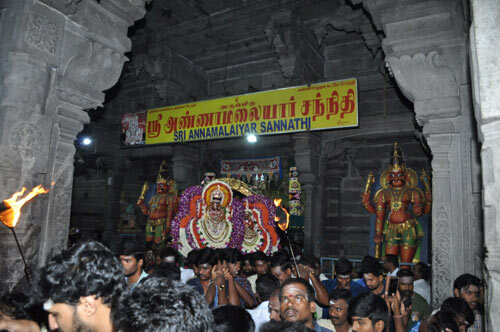 As Chithra Pournami is scheduled start at 7.11 PM on 18th April, Thursday, the devotees visiting Thiruvannamalai, after casting their votes in their respective polling booths, may visit during the evening or night.